In our high tech society people love to stay connected and it is so easy to do so with email, IM, wireless connectivity, and handheld devices. 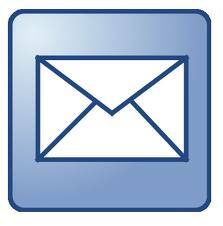 Email is part of all businesses and replaces many other methods of communication. Email has become a wasteful distraction costing company’s lost productivity with all the interruptions. In a study last year(2007), Dr Thomas Jackson of Loughborough University, England, found that it takes an average of 64 seconds to recover your train of thought after interruption by email. So people who check their email every five minutes waste 81/2hours a week figuring out what they were doing moments before. It had been assumed that email doesn't cause interruptions because the recipient chooses when to check for and respond to email. But Dr Jackson found that people tend to respond to email as it arrives, taking an average of only one minute and 44 seconds to act upon a new email notification; 70% of alerts got a reaction within six seconds. That's faster than letting the phone ring three times. 1) Turn off email alarms to prevent interruptions and temptations to react now. 2) Don’t check your email in your first hour of work. 3) Check email only at specific times during the day (no more than twice a day). 4) Filter your emails into folders for easier management. 5) Set-up your email to display a preview of a few lines to help decide the importance of dealing with it urgently. 1) Be specific in the header. 2) Don’t hit “reply to all” when not needed. 3) Write at a 6 grade level (use readability statistics in word to check). 4) Keep emails short and specific (on average a reader will give you about 11 seconds to decide whether to read). 5) Limit your email recipients (the more people you send an email to, the less likely any one will respond to it). Fewer interruptions means more time spent at work on value added activities.